Well established community facility in need of major refurbishment throughout the Church building, with improved facilities for the disabled; all level access to the rear Church Hall. 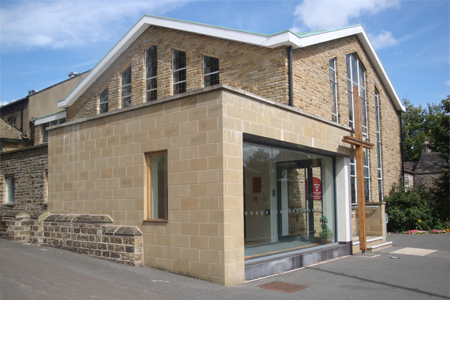 The new extension to the front is replaced with an open glazed welcoming entrance where the Church events can be clearly displayed. The dramatic “cross” celebrates the entrance and becomes the focus for the street scene.